Un Jardin En Mediterranee Perfume by Hermes, Un jardin en mediterranee, is french for ‘a garden in the mediterranean.’ this exquiste aroma by hermes was launched in 2003 . This amazing fragrance is recommended for casual wear. All products are original, authentic name brands. We do not sell knockoffs or imitations. 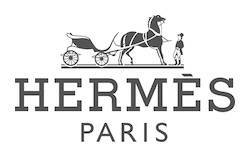 The company was founded by Frenchman Thierry Hermes in 1837. It specialized in saddles and leathergoods during those early years. One of its early designers was Lola PRUSAC. It’s first women collection was shown in Paris in 1929. The Hermes scarf was introduced in the early 1930s. The handbag made famous by Grace Kelly in 1956 was actually first manufactured almost 20 years earlier in 1930. Haute Couture collection was stopped in 1956, but they continued to give shows during the European Fashion Week. Hermes introduced its first perfume Caleche in 1961. Over the years, the Ready to Wear was designed by Jacques Delahaye,Catherine De Karolyi, Monsieur Levaillant, Nicole De Vesian, Eric Bergere, Claude Brouet, Tan Giudicelli, Marc Audibet and Mariot Chane. Since 1998, the collection has been designed by Martin Margiela.